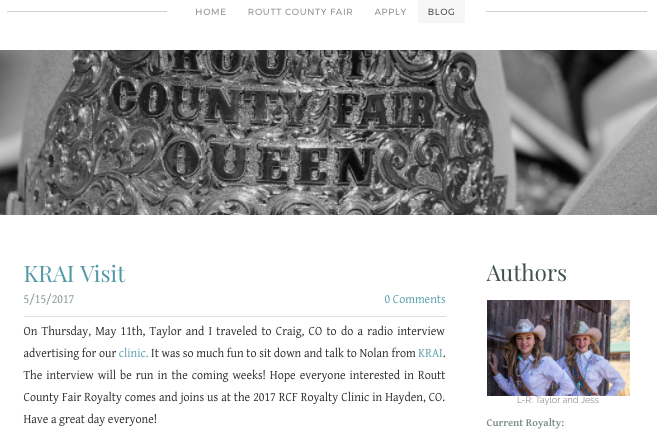 We are a team of young ladies who promote the Routt County Fair, our western way of life and our beautiful county while striving to be role models to all. We couldn't do without our wonderful sponsors! For more information on the application process and try-outs, click here.